Just a couple days back, Paypal was reversing all the transactions which were above $500 for the Indian accounts where the amount received was sent back to the sender. But now, Paypal and RBI have raised the limit to $3000, where they can receive up to $3000 per transaction without a problem, but the account needs to be legitimate and there needs to be the PAN details and purpose code added to the account for the successful transactions to occur. The setting up of Purpose code in Paypal account, and the provision of PAN card details in your account is to go with the rules set by the Reserve Bank of India. Note: You do not need to update your PayPal account with this information to make purchases. Simply use your credit card funded PayPal account to shop online from merchant stores across the world. We are pleased to inform you that the RBI will now allow you to receive export-related payments of up to USD 3000 per transaction into your PayPal account, effective immediately. We sincerely thank you for your understanding and patience over the past few months as we continue to implement the changes required to remain compliant with the RBI guidelines. With these changes completed, you can confidently accept PayPal for your cross-border transactions with our global buyer base of over 100 million active accounts in 190 markets worldwide. We look forward to continuing to support your export business through our global online payment platform. To comply with the RBI guidelines, you must add a Permanent Account Number (PAN), Purpose Code and local bank account to your PayPal account in order to continue receiving export-related payments. Apart from the above ones, there needs to be a bank account added to the account so that the amount is auto withdrawn to the bank accounts daily, as per the rules set by Paypal and RBI. This is not disadvantageous for the users, because there would be no fee charged for the withdrawal of funds, and the Indian users cannot send the payment to any other account holder using the account balance, but the balance is cut from the credit card of the Account holder. Paypal has always been hard on the Indian customers, and they have always been in search for the various Paypal alternatives but many have to still stick to Paypal for that being a payment processor used in many countries globally. 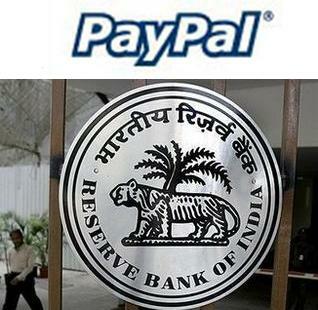 Thats fantastic news for indian paypal users, now we can do our business smoothly. Still the daily withdrawals is a big issue, i am fine if not able to use paypal funds for shopping that can be managed with Credit Card.